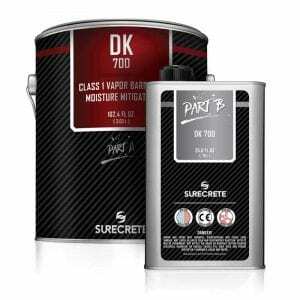 SureCrete’s Dura-Kote ColorTec 600WB™ is a water-based colored concrete floor epoxy comes in 30 standard colors including gray, black, white, red, brown, green, blue, tan and much more. With SureCrete’s industrial concrete flooring colors, On-Demand tinting system, our water based floor epoxy can be custom colored to just about any color needed. SureCrete’s WB pigmented colored concrete epoxy tinting system can create products that are vastly different than conventional colored concrete sealers available on the market today. The tints used by SureCrete’s colored water based floor epoxy for floors tinting station are far more durable and UV resistant than typical pigmented concrete sealers. With these pigments, your finished colored water-based epoxy coating system will last much longer than a normal water-based epoxy sealer ever would, with the color staying much more vibrant over a long period of exposure. Not only are the tints more durable and UV-stable than typical colored concrete sealers, but the color range available is also quite a bit wider than those available on the market presently. Dura-Kote colored WB epoxy for floors is available in more than 200 standard colors and now and, with the power of the tinting station, all these colors, and more are available nearly instantly at any of our participating distributor centers. We can even match your desired color palette from a different manufacturer such as Sherwin-Williams, Dupont, Baer, Valspar or Scott Paints. Or, if you’re looking for a bit more panache, we can also perform themed color matching such as State University colors, Professional sports teams themes or even your favorite movie or television show! Just come into any one of our ON DEMAND distribution centers to see how we can help you create your dream floor! How Do You Apply Colored Water-Based Floor Epoxy on Concrete? 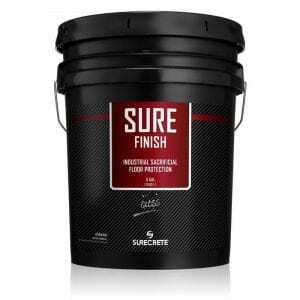 Question: Can you match a color with SureCrete’s Water-based Colored Concrete Floor Epoxy? Answer: Yes! Just make sure to get a physical color chip to one of our distribution locations to match your colored water based concrete epoxy. Question: Can you match a color with SureCrete’s Colored Water Based Concrete Epoxy? Answer: Yes! Just make sure to get a solid color chip to one of our distribution locations to match your colored water based concrete epoxy. Answer: While it certainly can be applied as a single coat system, we usually suggest a finish coat be applied as well as a sacrificial coating to give better scratch and chemical resistance and ensure the overall system lasts as long as possible. 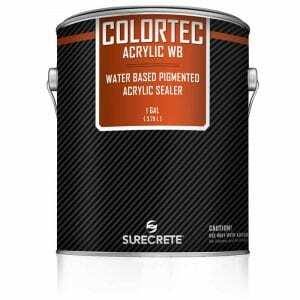 Question: Will Colored Water Based Concrete Epoxy for Concrete self-level and fill small holes? Answer: No, the solids content of colored water based concrete epoxy products are not high enough to enable an applicator to fill holes in your solid substrate. Proper concrete patching and leveling materials should be utilized before sealer application. 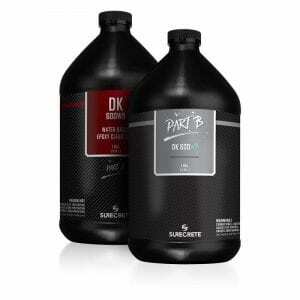 Question: Can I Dilute Dura-Kote Colored Water Based Concrete Epoxy for Floors? Answer: Yes, it can be diluted up to 15% by volume of water. 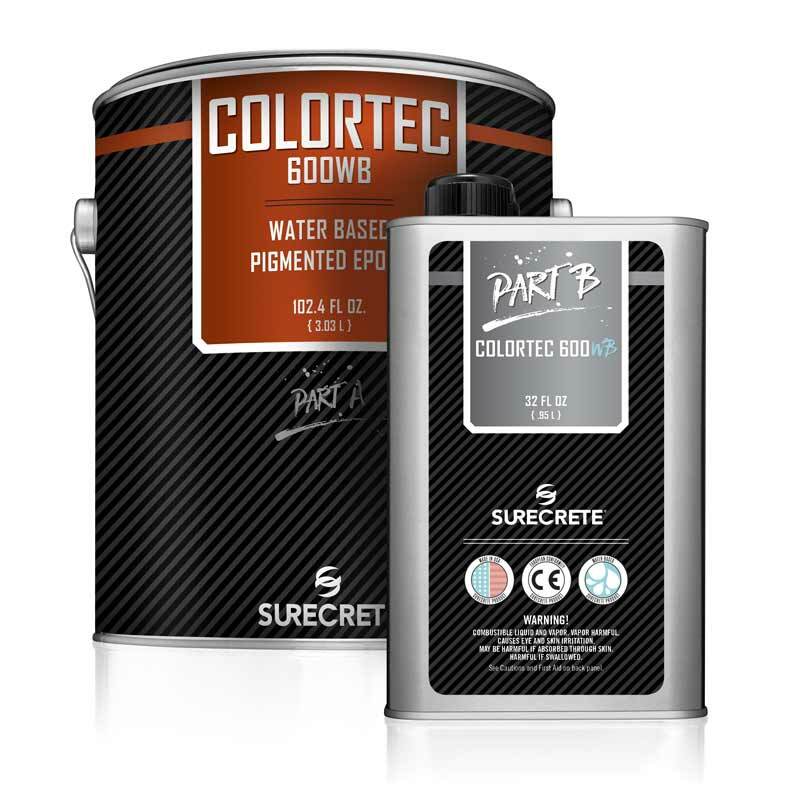 SureCrete’s Dura-Kote ColorTec 600WB™ is a water-based colored concrete floor epoxy comes in 30 standard colors including gray, black, white, red, brown, green, blue, tan and much more. With SureCrete’s On-Demand tinting system, our water based floor epoxy can be custom colored to just about any color needed.